Crete is an island of contrasts at the crossroads between Europe, Asia and Africa, the three continents of the Old World. It is unique with its millennia-old history, the deep -rooted traditions, its rich cultural heritage, the varied landscape, the beautiful beaches, the mild climate, many days of sunshine, modern hotel complexes, the good infrastructure, a rich range of cultural events and all options for sports and entertainment. Crete, who is the largest Greek island (8,260 km2 land area and a coastline of 1.046km) and the fifth biggest Mediterranean island, is located in the southern Aegean. The island is crossed by three mighty mountain ranges, the White Mountains (Lefka Ori), also called Madares, the Ida Mountains and Psiloritis called and the Dikti mountains, these are also called Lasithi Mountains. But the island is also rich in fertile plains, caves, canyons and dense forests. Crete is also known for its farming of olives, olive oil, grape, citrus, vegetables, bananas, avocados, kiwi, aromatic and medicinal plants. The climate is pleasant and healthy, with mild winters and warm summers. From an administrative point of view Crete is divided into four provinces: Heraklion with the capital Heraklion, Lasithi with capital Agios Nikolaos, Rethymno capital Rethymno and Chania with capital Chania. The Archaeological research has revealed that the island has been inhabited since 6th Millennium.BC (Younger Stone Age, 6000-2000 BC). During the 1500 -year epoch of Minoan Culture (2600 – 1100 BC.) , the island experienced in 1900 BC its first time of prosperity. Back then in Knossos, Phaestos, Mallia, Archanes, Zarkos and Kydonia the first palaces were established. But the real highlight of the Minoan civilisation dated between 1700-1450 BC. at the end of this period around 1450 BC. a devastating volcanic eruption caused on the island of Santorini and Crete massive destructions. This is followed by the invasion of the Achaeans , and then the conquest of the island by the Dorians (1100 BC.). After 500 BC. followed a period of decline, during the Classical and Hellenistic period Crete was irrelevant. In 67 BC, Crete was conquered by the Romans, they ruled until 330 BC. later the island was a province of the Byzantine Empire with its capital Gortyna. In 824 Crete was conquered by the Saracens, who established an independent modern Arab state with its capital being in Chandaka, todays Iraklio. From 961-1204, the island was a Byzantine Province again, it was then later conquered by the Venetians (Venetian ruled from 1204 until 1669). This was an era of economical prosperity, cultural and artistic flowering, hence the Major works the ” Cretan School ” in painting, especially the icon painting, and the “Cretan drama”, which in the last two centuries of Venetian rule went through a significant development, it was in that period that some of the most imposing buildings where build. In 1669 Crete was conquered by the Ottomans , last being Chandaka that had defended itself for 21 years. Only Sfakia had not been conquered, but paid tribute to the Ottomans. The Cretans led since the beginning of the Ottoman rule a guerrilla war against the occupiers, they tried in vain to expel them. An independent Cretan State was proclaimed under the governorship of Prince George with support from the European powers until the year 1898. 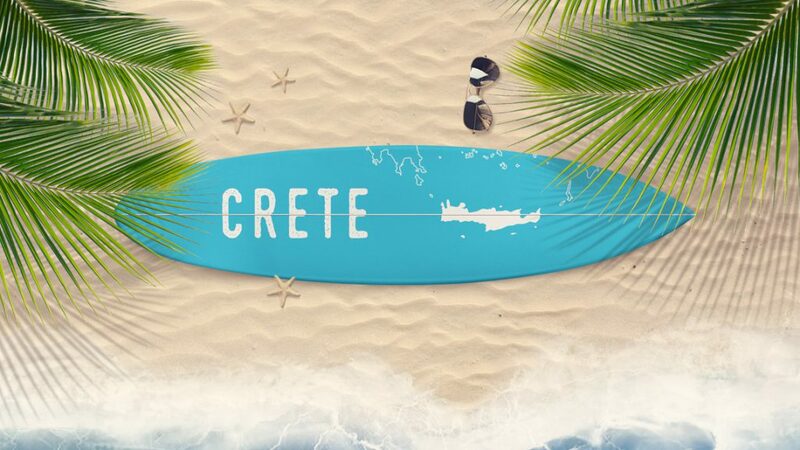 After the Balkan Wars (1912-1913) Crete was incorporated with the signing of the Treaty of London ( 17-30.Mai 1913) into the Modern Greek State. On May 20, 1941, the Germans, after they had occupied the Greek mainland, began with the attacks on Crete that lasted until 28 May. On 28 May, they landed on Crete. This battle, which went into history, became known as the ” Battle of Crete”, it was one of the most heroic stories of WW2.English, Australian and Soldiers from New Zealand fought together with Greek Soldiers as did a large number of Civilians.